Few weeks ago, I’ve a prompting to tender my resignation. This prompting caught me by surprised as I’ve already successfully extended my no-pay-leave (NLP) till next year sept when El is 4 years old. Nevertheless, I emailed MOE to find out more about resignation. When MOE replied last week, I discussed this issue with Mr Eio. He’s very supportive & thinks that I should tender my resignation. When I emailed MOE to asked for the resignation form & enquire about the process, this date 7th July came to me. I was wondering what is this all about & at the same time I’ve been procrastinating about setting up a blog. So I told myself last week, I’ll start a blog by 7th July if I’m able to relinquish my role as a MOE Teacher by then. Days passed by & there’s no reply. I’m very busy & caught up with household chores & taking care of Eio kids that I almost forgotten about this. Lo & behold, I checked my email today, MOE replied me yesterday (6th July) evening. OK! There’s no way to run away from this. I submitted my resignation form today. Of course, I’ve to serve one month notice. But it really doesn’t make a difference since I’m on NPL. Henceforth, I’ve relinquished my role as an MOE teacher & taken up a role as a blogger today. 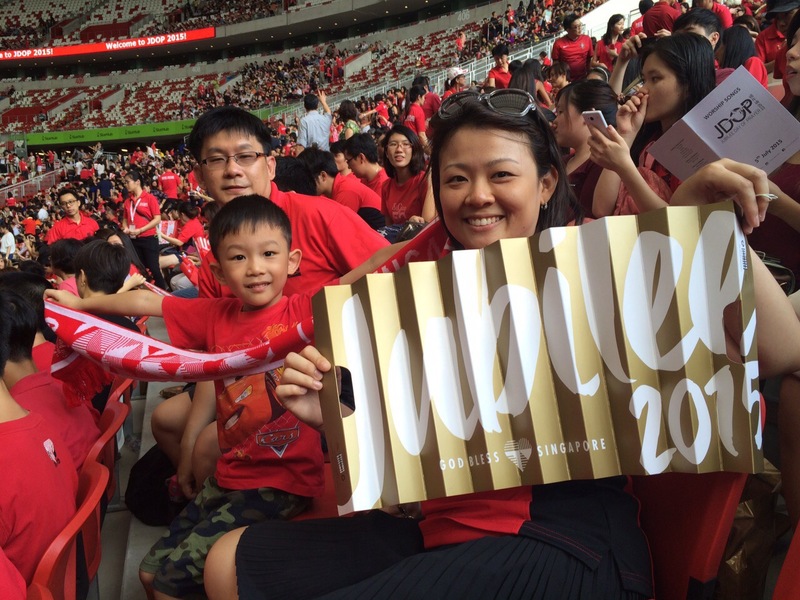 This year 2015 is the year of Jubilee for Singapore SG50. In God’s Word, the Jubilee Year occurs after 7 sets of 7 yearly intervals (49 total) are finished. Photo taken last Sunday during Jubilee Day of Prayer (JDOP) on 5th July 2015. Singapore sports hub stadium. 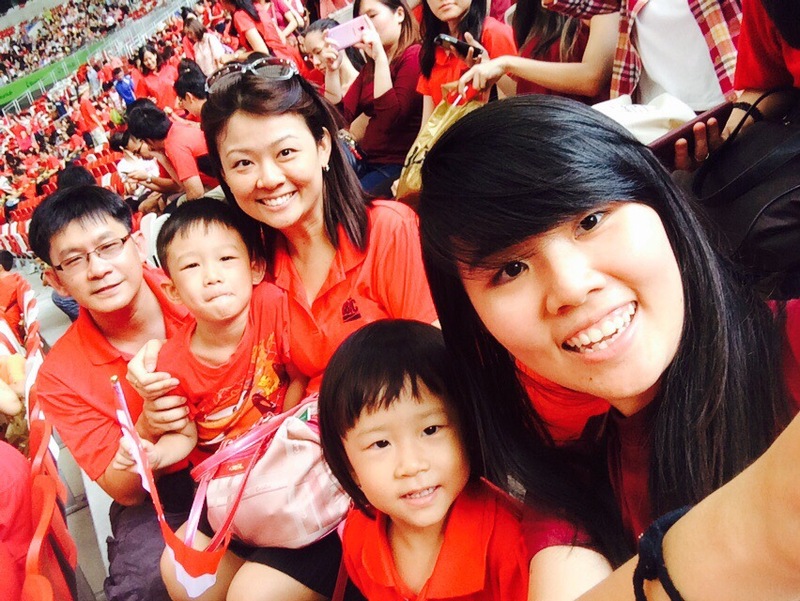 Over 51000 Believers are at this event (including our President Mr Tony Tan). GOH: PM Lee HL. 7/7/2015: The Day that I be redeemed. Regain my freedom on this year of celebration! Previous postFrom Ms Chin to Mrs Eio.